I have partnered with Smarty Pants Vitamins for this post. I have received compensation but all opinions are my own. 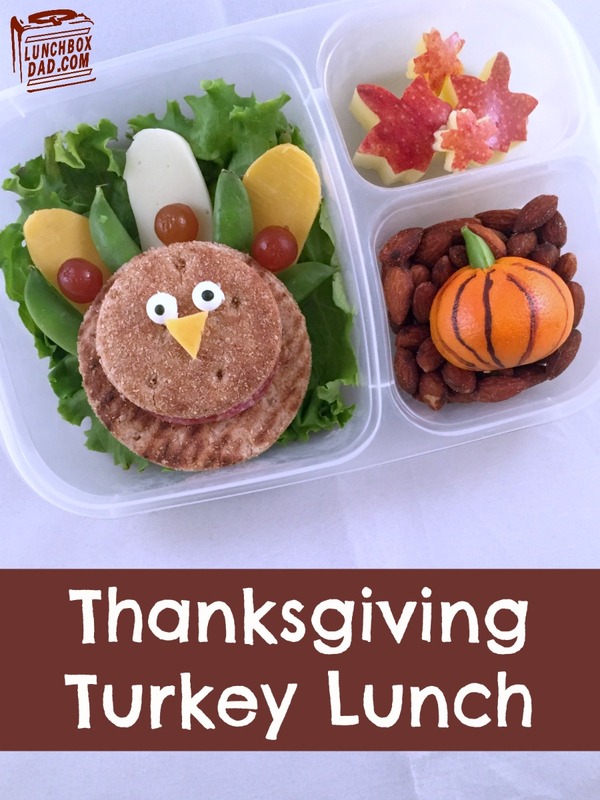 With Thanksgiving right around the corner I thought it might be time to do a turkey lunch for my kids. Our family tradition is to travel to my wife's family's cattle ranch and spend a few quiet days enjoying some deep fried turkey and taking nature walks. It's something my kids really look forward to. Since this is my kids' last week of school before the big day, I had to get them prepped for it by making them this fun lunch! This lunch can be put together in a matter of minutes and can easily be made the night before. I used my kids' favorite Smarty Pants Gummy Vitamins in place of fruit snacks. They devour these and I like that they provide some colorful decoration and nutrition for the lunch. Let me know in the comments below what your Thanksgiving traditions are! 1. Cut two slices of bread into two different sized circles. I used a couple of glasses to make the perfect circles. Place meat in between the two slices. You can use a dab of cream cheese to get it to stick together. 2. For the feathers, cut cheddar and provolone cheese into long strips and cut a rounded shape for the end. 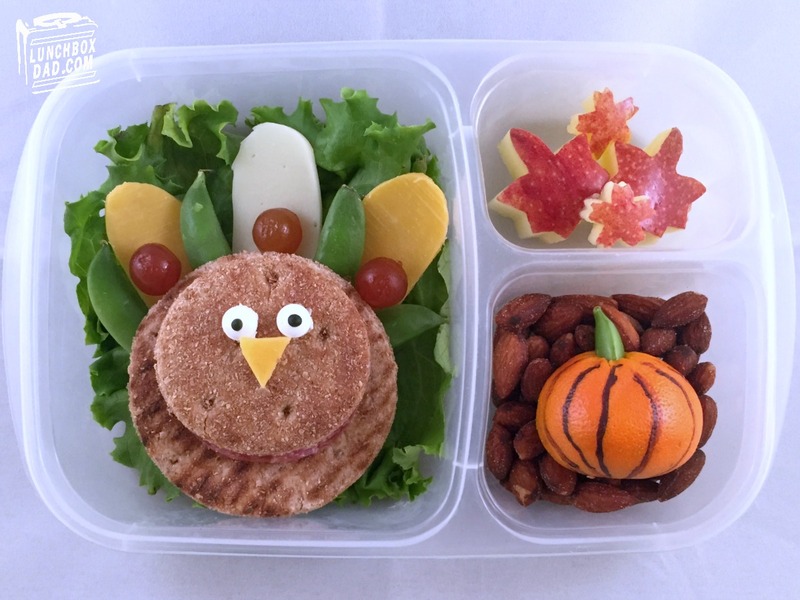 Lay down a bed of lettuce in main compartment of lunch box and arrange cheese and snap peas in "fan" shape. Set sandwich on top. 3. Insert a toothpick piece into each Smarty Pants Vitamin and press down through the cheese. The vitamin should stay in place. Use a little cream cheese on a cheddar cheese triangle and and candy eyes. Place them where shown in picture. 4. Use a leaf shaped vegetable cutter (or a sharp knife) to cut apple slices into leaf shapes. You can use a little lemon juice on them to keep apples from turning brown. Place in side compartment. 5. In last compartment, drop in almonds. Slice into top of mandarin orange and insert a piece of snap pea in. Draw lines onto orange using black food coloring marker. Place on top of almonds. If your family or school is nut free substitute granola or similar snack.